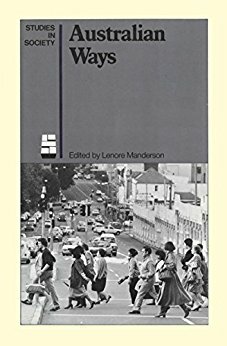 This collection illustrates the richness of data and analysis born of the anthropological study of contemporary white Australian society. Inspired by the need to demonstrate the especial skills and insights of anthropology when brought to bear on familiar ‘everyday’ data, Australian Ways will be of interest to anyone curious about the colour and diversity of Australian life. The studies presented here deal with diverse settings and events, ranging from a community’s responses to a bushfire in rural NSW to the messages encoded in a male strip show in Adelaide. Work and leisure, family life and institutional relationships, natural disaster and culturally manipulated violence, the particular experiences of the homeless, the elderly, immigrants – all form a part of this collection. This book was inspired by the need to demonstrate the especial skills and insights of anthropology when brought to bear on familiar ‘everyday’ data. It will be of interest to anyone curious about the colour and diversity of Australian life.